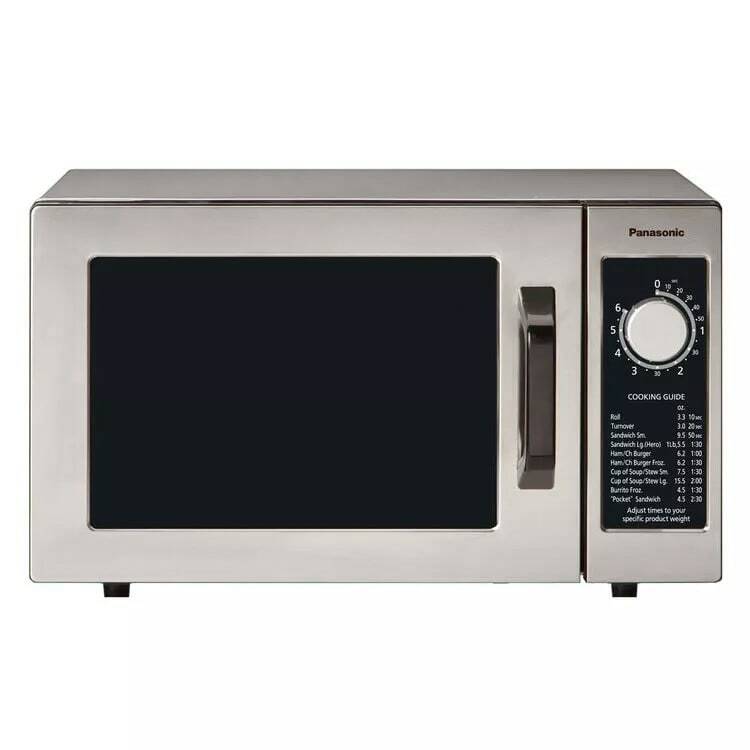 The Panasonic NE-1025 commercial microwave oven has a see-though oven door so you can check on food without interrupting the cooking cycle. The oven has an interior light to make food more visible while it is cooking. 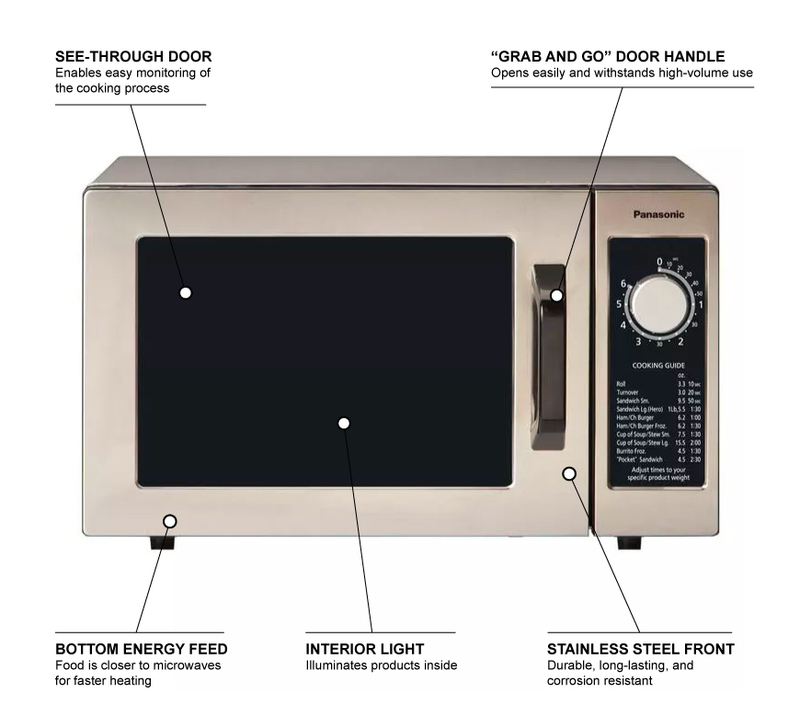 To efficiently heat food, this oven has a bottom energy feed so microwaves reach the food to heat it faster. The 6-minute electronic dial timer is easy to use and has 15-second increments that are easily visible. Cooking times are very visible on the oven control panel. The grab-and-go door handle is easily opened and has been constructed to withstand high-volume use. 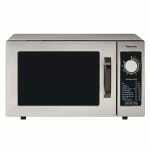 This Panasonic NE-1025 commercial microwave oven will hold one half-size, 6-inch deep pan with a cover.